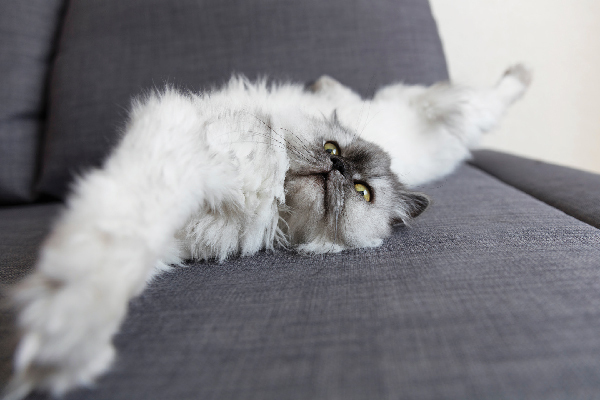 Why Is Your Cat Whining? Is cat whining just an attention-seeking cat behavior … or is your cat trying to tell you something more? Let's look into the meaning behind this cat sound. 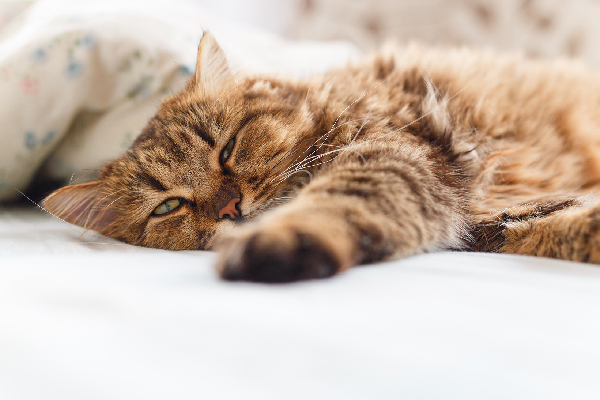 At three o’clock in the morning, when you’re meant to be benefitting from the deepest part of your night’s sleep, there are few more annoying sounds than hearing your cat whining. And whining … and whining. But beyond the inconvenience of getting woken up by a bout of cat whining, what exactly causes your feline to express herself with this strange cat sound? And when is cat whining a cause for concern? First, What Does Cat Whining Sound Like? 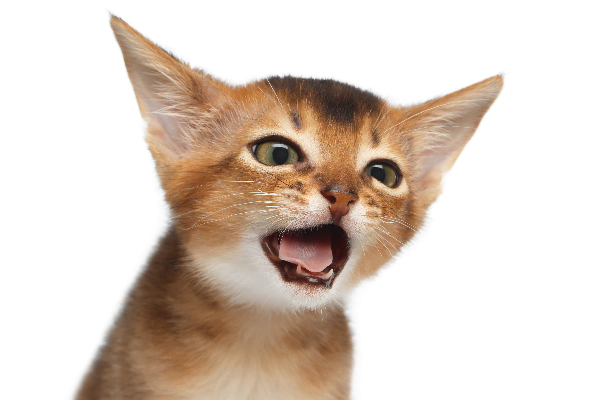 Cat whining is different from normal, everyday meowing due to the way a feline pronounces her cat vowels. According to Mieshelle Nagelschneider, a cat behaviorist from the Cat Behavior Clinic and author of The Cat Whisperer, there are two cat vowels involved in the meow vocalization. Now that we’ve pinpointed the sound of cat whining, what causes cat whining? As you might have guessed, hunger might cause cat whining. This could be learned behavior from your cat’s kitten days, when he would meow to let his mother cat know he’s hungry. Or, as Mieshelle says, “Not being fed on time, frequently enough or too few calories can also cause this kind of vocalization.” This could explain late-night or early-morning whining when kitties decide what they really need right this second is a post-midnight snack. A key part of the motivation behind cat whining can also come from the cat feeling stressed, frustrated or even ignored. Mieshelle throws up the example of a cat seeing a bird frolicking outside of a window and not being able to chase it. 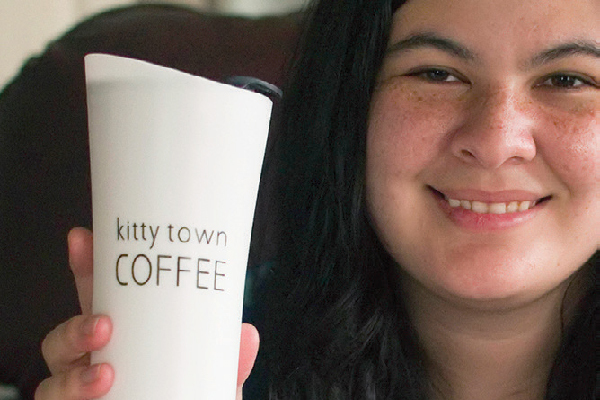 “This frustration could cause a cat to vocalize intensely and have a flat and drawn-out meow that could sound more like a whine,” she explains. Is Cat Whining a Cause for Concern? Is cat whining a reason to worry? Photography © Seregraff | iStock / Getty Images Plus. 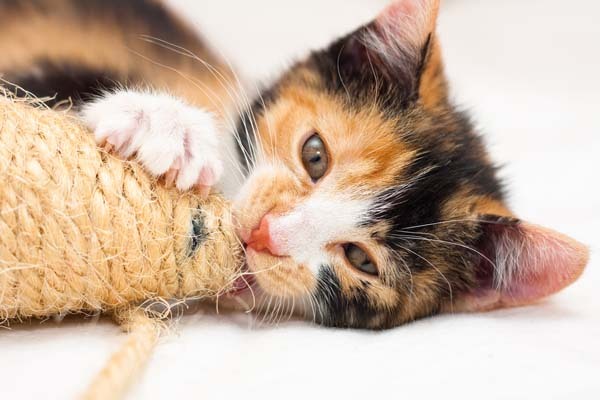 “Most often, cats will meow or yowl in urgent repetition over a long period of time to elicit a response from the owner or because they are stressed,” says Mieshelle, when asked if cat whining is a symptom of a more serious issue. She adds that when a cat doesn’t feel well and is in a “weakened state,” whining might be a way of communicating this pain or distress to a guardian. What Should You Do About Cat Whining? 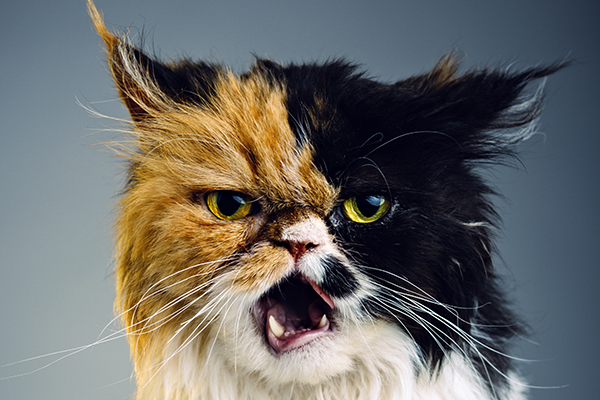 How should you handle cat whining? Photography ©SensorSpot | iStock / Getty Images Plus. Oftentimes, your own behavior — or reactions — might even contribute to the cat whining in question. As Mieshelle points out, “Sometimes, the only reason a cat continues with intense or lengthy vocalizations is because the owner has been reinforcing it.” So, perhaps take a look at your own behavior next time you’re cursing your cat for waking you up in the early hours of the morning with all that whining! Thumbnail: Photography © SensorSpot | iStock / Getty Images Plus. 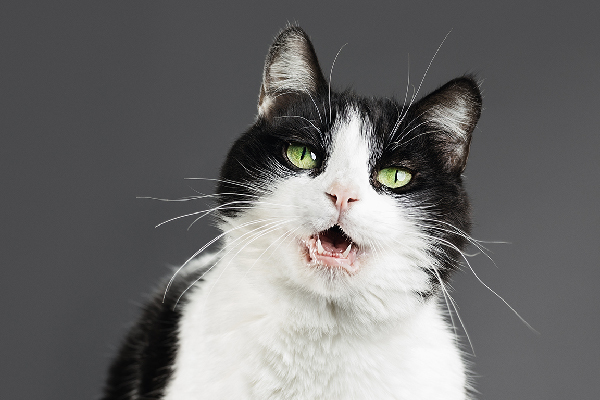 Why Is Your Cat Howling? My chubby eight year old neutered kitty Harmony, cries and whines nearly constantly, only stopping when he’s eating his meals (two/three times daily) and munching on his in-between meal treats. Because of his weight (over 20lbs) I realize that I’m probably overindulging him but, in my defense, it’s the only way to get peace in the house. Harmony’s a rescue cat that I found over six years ago and he’s always been vocal, but as the years have gone by, his meowing and whining have only increased. He’s been to a vet and besides his weight, he checked out healthy. The vet wants him on a diet and I would like him to lose weight as well, but it’s extremely difficult to cut back on meals and treats when he’s crying so loudly and excessively. It also doesn’t help that I have four other rescue cats that are thin and need a high calorie diet. Thankfully, these four other cats are quiet, even when hungry and waiting to be fed. Hi Brenda, I have recently adopted a Rescue cat approx. 12 mths old, have never seen a cat howl and eat so much, impossible to keep him of kitchen benchtops and stealing food, into the rubbish and eating our food if left out, so I spray him, growl him, put pepper on benches at night, but he keeps jumping back up continuously, nothing stops him . He’s a beautiful Ginger Tabby and I didn’t want to give up on him too easy, so off to the vet we went, after doing tests for Diabetes, Thyroid etc, he diagnosed with a Brain Disorder, Yes ” OCD ” for food, after putting him on antidepressants he has slightly improved after 3 wks, but feeding time is still a circus, so we prepare his food at night for the next morning and give him his tea when the whining starts about 5pm, which are huge meals, once his belly is full we Finally get some peace, we have retrained ourselves to defrost food in closed containers, no rubbish left open as he still constantly patrols the benchtops , comes running as soon as he hears us open the fridge or use the microwave. Stangely we have named him Dennis. Cheers. Kerry. My brother says that my cat Diego always has to have the last word. It’s true! We have one cat who loves to “talk.” He makes a wide variety of sounds ranging from a normal meow thru what is shown here as whining and many other sounds. We don’t mind, in fact I like it. This morning he sat in front of me talking with a variety of cat sounds and I answered in human talk. This went on for about 10 minutes until he walked of and went to talk to his brother. It’s fun during the day, not so much at night. Years ago, I had a cat named Mitzi. She would sit on the kitchen table in my apartment and wait for me to come in the door from work. As soon as that door opened, the whining and complaining would begin. It was like she was cussing me out for leaving her home alone all day.